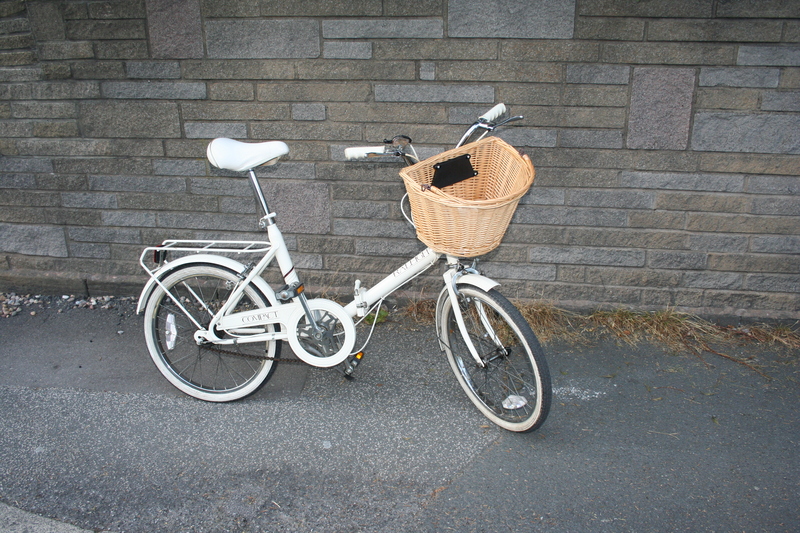 For sale, a beautiful 1970s Raleigh Compact in cream. Handmade in England. Restored by the Vintage Cycle Company. This Compact is a folding town cycle with 20” wheels and road tyres. 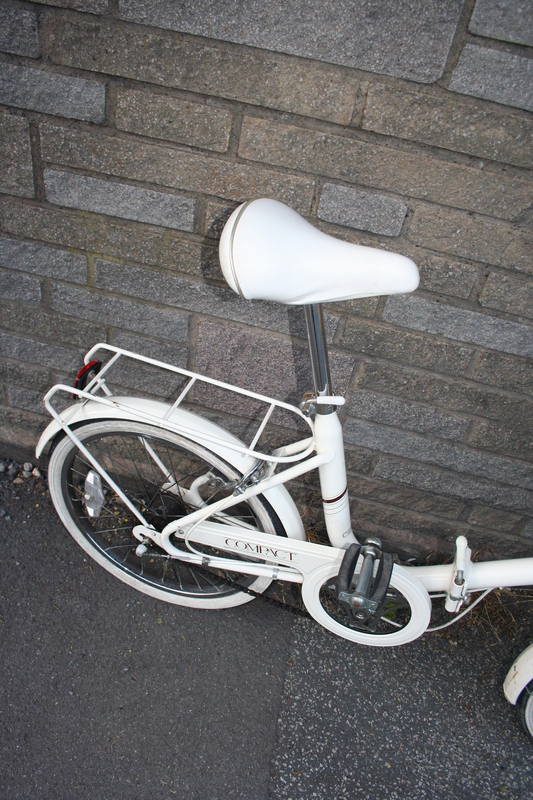 Original mud guards are maintained for wet weather cycling and the pannier and brand new wicker basket provide ample room for shopping and running errands. A kick stand is provided for parking around town. The cycle folds into an incredibly small package when stowed away. Perfect for a person with a flat where space is at a premium or someone who needs to cycle to and from a train station on a daily commute. Quick release mechanisms are provided on the handlebars, seat post and frame for ease of use and rapid action. The cycle is in its original condition and specification with a classic 3 speed SturmeyArcher internal gear hub. The cycle has been serviced to our usual high standard, so the groupset is tight, the wheels are true and strong, the chain is lubricated and the various bearings and hubs have been cleaned and oiled. An absolute pleasure to ride – incredibly classy and is guaranteed to turn heads. Second hand condition – spots of surface rust here and there. Collection in person from Leeds. Alternatively, a courier can be arranged within the UK for an additional £12. Cash, cheque, paypal or bank transfer. I can also create an eBay pay now auction if preferred. Please email vintagecycleco@gmail.com with any questions at all and we’ll be happy to help.